Welcome to this PHP tutorials series. You may be a total beginner in programming or a seasoned developer who is looking to learn an extra programming language, yes ! you are in the right place. Here is a brief note about PHP examples/tutorials. 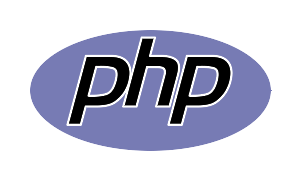 PHP, which stands for PHP: Hypertext Processor, is a server-side scripting language that works together with HTML to develop dynamic websites and web applications. It was developed by Rasmus Lerdorf in 1995, who was trying to create a web management system in C, called the Common Gateway Interface (CGI). Lerdorf named the tools Personal Home Page (PHP) tools, the initial name for the new programming language, later standardised into its current recursive definition. Here we are providing a complete PHP tutorialspoint for all PHP examples with neat explanation. Here we have given entire PHP package at on tutorialspoint @ online. The examples provided in these tutorials were well tested with our development team.